As the New Year is just around the corner it’s time to put on your dancing shoes and get ready to welcome the dawn of New Year. No party is complete without Bollywood songs, and planning a perfect New Year party without the top Bollywood party songs is a big turn off. 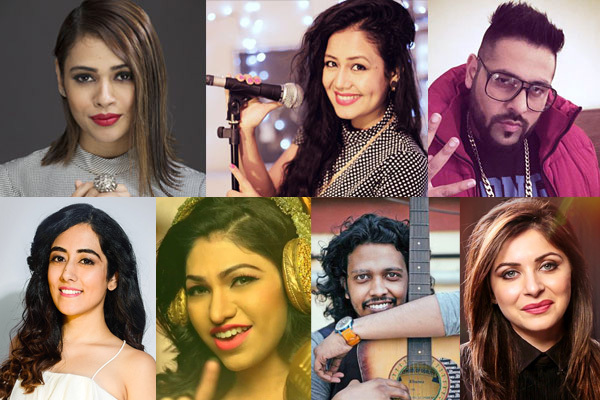 Year 2016 witnessed some of the top Bollywood party songs that go perfectly for any dance party making it happening and lively for all party goers. So here is the list of some sensational, high octane foot-tapping Bollywood numbers must for the list! Baby Ko Bass Pasand Hai - It’s the song of the season with Salman Khan’s naughty signature move from 'Sultan'; a typical dance number with easy and catchy step is perfect to have the ultimate bash! Shalmali Kholgade made an impact with her mesmerizing voice in this song along with Vishal Dadlani, Badshah and Ishita. Kala Chashma - This peppy dance number is from film 'Baar Baar Dekho'. With a perfect blend of techno and Punjabi music, this Siddharth Malhotra and Katrina Kaif starrer song will set the dance floor on fire. The talented team of Neha Kakkar, Badshah and Amar Arshi infused their years of experience into this song making it undoubtedly best remix of the year 2016. The Break Up song - With music by none other than Pritam and the voices of Arijit Singh and Badshah culminate to create the perfect party song. The super talented rising star Jonita Gandhi with her smoothing voice justifies the song perfectly in this quirky and fun dance number gives you a reason to forget all your heartbreak woes and celebrate your Breakup! Sau Tarah Ke - Jonita Gandhi and Amit Mishra gave another chart buster song of the year have become a big hit on the party circuit. This groovy song is composed by Pritam Chakraborty who has given a wonderful music. Jacqueline Fernandez’s killer moves in this song, along with John Abraham and Varun Dawan have burnt the dance floor. Nachange Saari Raat - Another remix party song earlier sung and composed by Taz and revamped brilliantly by Meet Bros featuring Neeraj Shridhar and Tulsi Kumar. It features Pulkit Samrat and Yami Gautam dancing and sharing their love chemistry. Jabra Fan - Titled as 'Jabra Fan Anthem', the song sung by Nakash Aziz in Hindi also has versions in 6 different languages. SRK in a very different look dancing and serenading his favourite star with a fun song. You will listen this song all through the year. Kar Gayi Chull - Badshah, Fazilpuria, Sukriti Kakar and Neha Kakkar ignited this song with sheer talent. This is one of the best and most popular songs from 'Kapoor & Sons'. It brings out the naughtiness inside you while on dance floor. Beat pe Booty - Sachin, Jigar, Vayu and Kanika Kapoor ultimate song "Beat Pe Booty" from 'A Flying Jatt' trended for a very long time and definitely one of the quirkiest songs of the year. The brilliant swanky moves by Tiger Shroff and Jacqueline Fernandez brought the nation to standstill.